A complete guide to the 2017 debuts. 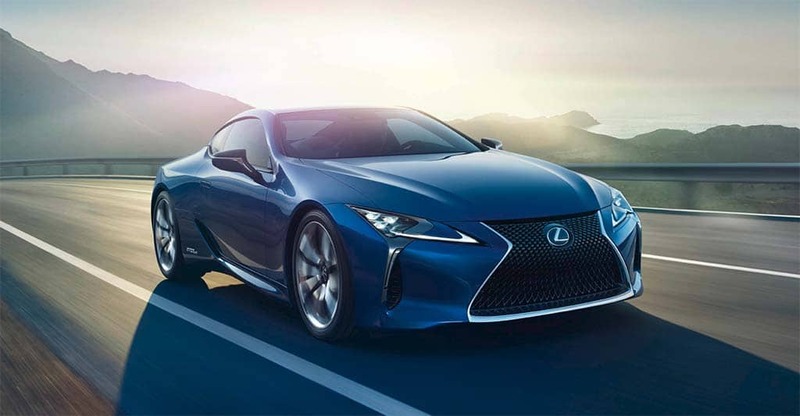 The hybrid version of the new Lexus LC500. Looking for a new car, truck or crossover? It can be quite confusing trying to figure out what’s best for your personal taste and needs. And it’s only going to become even more of a challenge with dozens of new models set to reach market for the 2017 model-year. But don’t worry. TheDetroitBureau.com is on hand and ready to offer this guide to the most significant new products coming for ’17. We’ve already given you our Alfa to Jaguar list. Now let’s look at what else is coming for the new model-year, with everything from Kia to Volvo. New plant to supply burgeoning EV line-up. Volkswagen officials show off the maker's new battery electric minivan concept, BUDD-e, earlier this year. 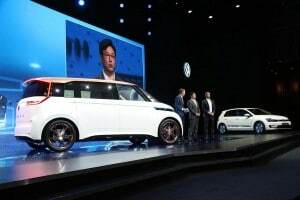 Since the scandal surrounding its diesel engines broke, Volkswagen has been pushing its electrification program to the fore to show its commitment to green technologies. Skeptics wondered how serious the maker was. Econo sedans to luxury SUVs, plenty to choose from. 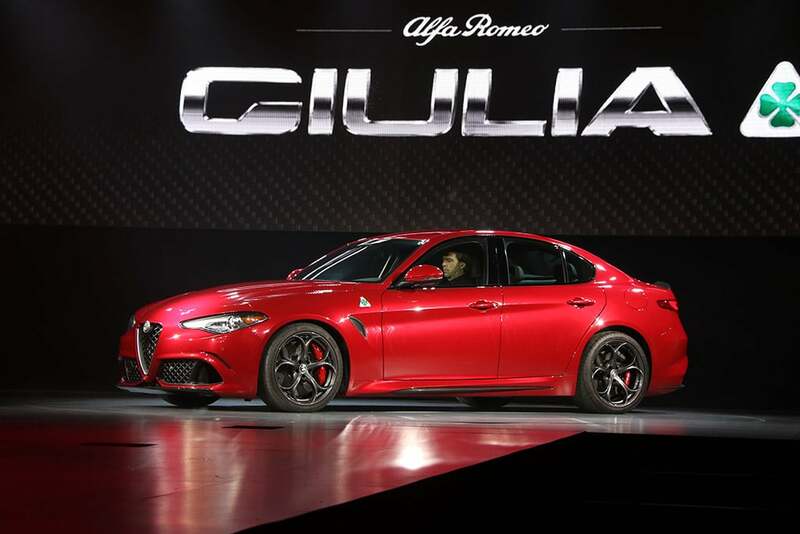 After a 6-month delay the Alfa Giulia is finally making its way to the U.S. market. There was a time when dealers would soap their showroom windows and keep customers waiting in anticipation of the new model-year. Those days are long gone, and new models roll onto dealership lots whenever they’re ready. We’ve already seen a handful of 2017 models make it to market, and even more will be rolling out before the official autumn start of the new model-year. Indeed, it’s a veritable product flood, manufacturers responding to today’s competitive market with more products than ever before. Considering the ongoing shift from conventional passenger cars to light trucks, we’re seeing lots of new crossover and sport-utility vehicles. But for those who still want a sedan, coupe or sports car, there’s still lots coming for 2017. And that includes a number of new green machines: hybrids, plug-ins, pure battery electric and even more hydrogen fuel-cell vehicles. VW gets back into the black for Q1, but the maker see lower sales and smaller margins for all of 2016. 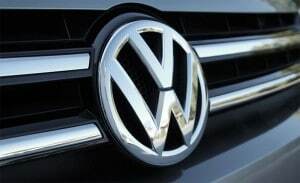 Volkswagen AG clawed its way back into the black during the first quarter of this year following the spectacular plunge it took last year as it dealt with a global diesel emissions scandal. Even so, the maker’s $2.6 billion profit for the January-March quarter was down 20.1% from year earlier numbers. Excluding one-time items, VW’s operating profit was down 5.9%, to $3.5 billion. Sales and other revenues, meanwhile, slipped 3.4%, to $56.8 billion. “In light of the wide range of challenges we are currently facing, we are satisfied overall with the start we have made to what will undoubtedly be a demanding fiscal year 2016,” VW CEO Matthias Mueller said in a statement. Maker undaunted VW problems and falling diesel sales. 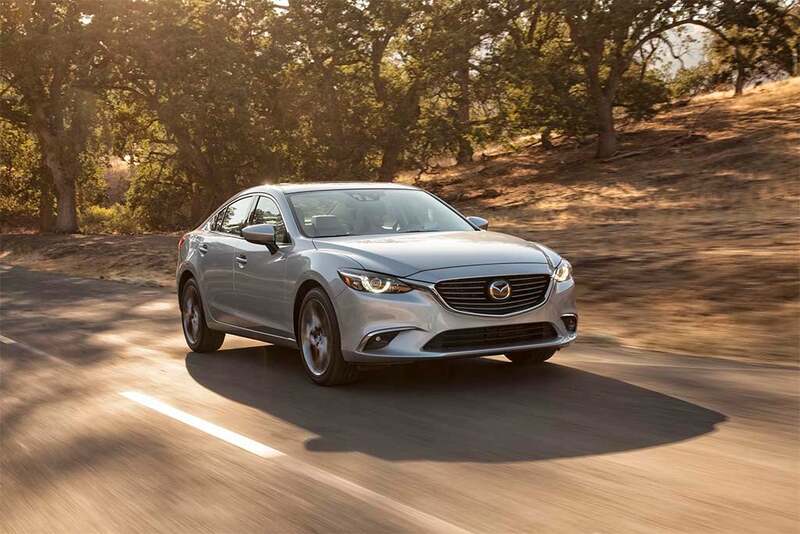 Mazda scrapped plans to bring a diesel-powered Mazda6 to U.S. shores a few months before VW's diesel scandal broke. While the timetable has not been established and remains in flux, Mazda remains committed to putting a diesel-powered vehicle on the road in the U.S.
Mazda last year quietly delayed plans for a diesel-powered version of the Mazda6 months before Volkswagen was forced to disclose that it had cheated on key emission tests for vehicles sold in the United States equipped with diesel engines. The fallout from cheating scandal has been casting a cloud over diesel engines in light-duty vehicles. Maker looks to keep liquidity above $30 billion. General Motors expanded its credit revolver by $2 billion to $14.5 billion to ensure it has enough cash to operate normally in tough times. General Motors has put in place a bigger safety net to protect the company in the event of hard times or a catastrophic market downturn that cripples new car sales. GM set up an unsecured $14.5 billion revolving credit facility consisting of a $10.5 billion five-year facility and a $4 billion three-year facility. The facility amends and extends GM’s existing $12.5 billion revolving credit facility and 44-different financial institutions subscribed to the new credit facility, GM’s top finance officer said. 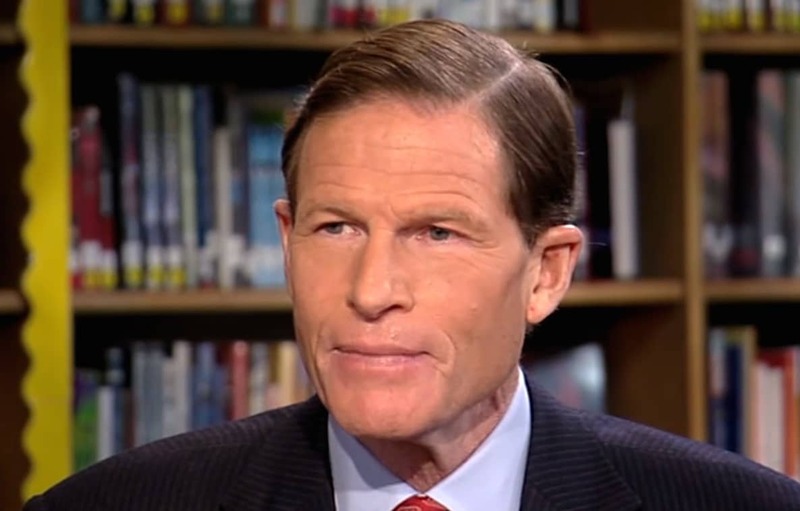 Market, Blumenthal send letter to 17 makers asking for information about seats. Sen. Richard Bluenthal (D-Conn.) is teaming with Sen. Ed Markey (D-Mass.) to pressure automakers to improve front seat back safety standards. The crashworthiness of today’s vehicles are at levels not seen before, automakers claim, using a variety of test results to support the assertion. Those claims are most likely true, except for one, little-thought about part of the car: the seat back. Two of the biggest critics of automakers, Sens Richard Blumenthal (D-Conn.) and Ed Markey (D-Mass. ), are pushing the companies to address a new concern: the weakness of seat backs. Brand shifting focus to SUVs. 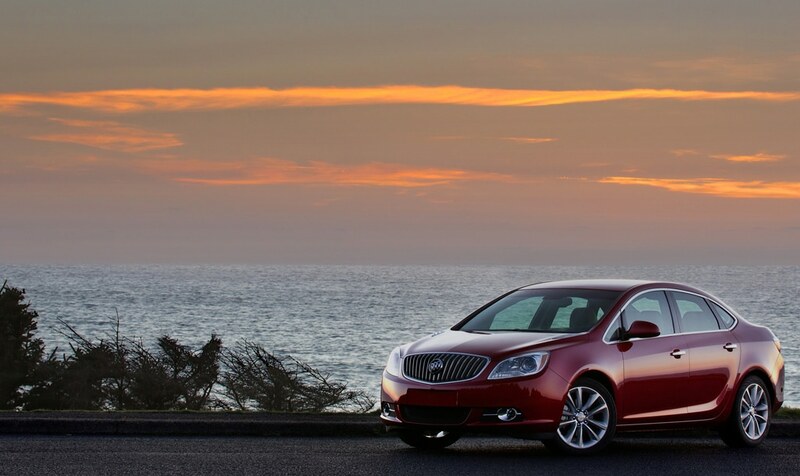 Heading off into the sunset, the Buick Verano. 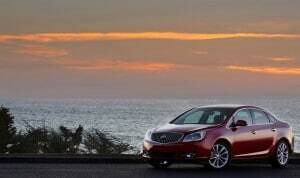 General Motors will end U.S. production and sales of the compact Buick sedan, confirming a report first posted by TheDetroitBureau.com this spring. 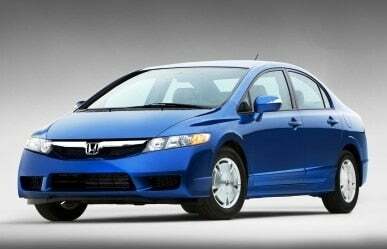 The move reflects the broad market shift from conventional passenger cars to sport- and crossover-utility vehicles. Buick utility-vehicle line-up is expected to account for as much as 70% of its sales over the next several years, according to senior brand planners. Sales of the Verano were down nearly 12% for the first four months of the year compared to the same period in 2015. And last year’s total sales of 31,886 of the sedans was a 27% drop from 2014. 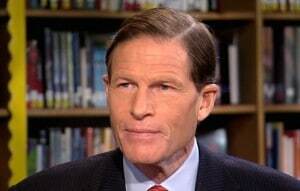 Largest recall in history continues to grow. The latest recall takes in millions of Honda vehicles, including this 2010 Civic. The biggest safety recall in U.S. automotive history is about to get even bigger, eight automakers revealing they will recall 12 million vehicles to replace faulty Takata airbag inflators. The move follows last month’s announcement by the National Highway Traffic Safety Administration that it wanted as many as 40 million inflators replaced because they could malfunction during crashes. The exact number of vehicles that would cover wasn’t clear because some vehicles use more than one of the suspect devices. 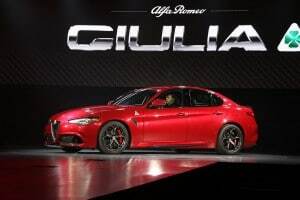 The list of manufacturers covered by the latest recall includes Toyota – which announced some other airbag service actions earlier this week – Fiat Chrysler, Mazda, Nissan, Subaru, Ferrari and Mitsubishi. And Honda will not only recall 2.2 million more automobiles but 2,700 of its Gold Wing motorcycles equipped with optional front airbags. New, smaller model gets more refined look. 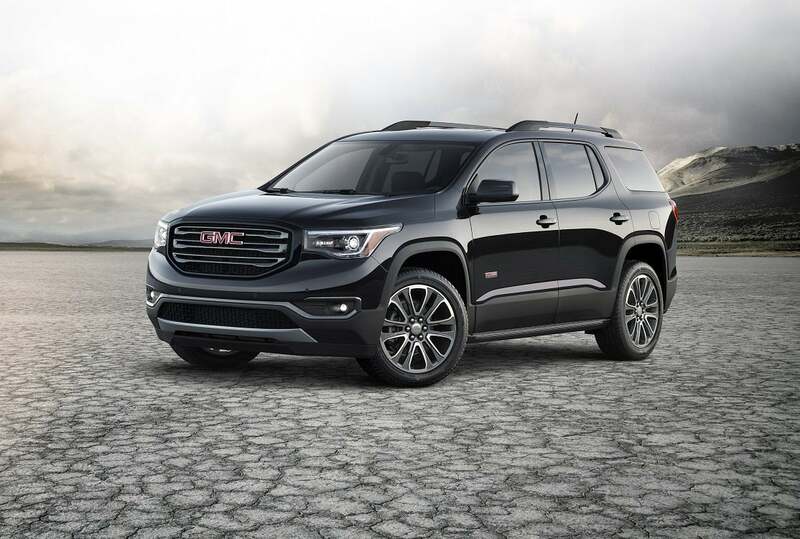 GMC is taking things a step farther with its new Acadia: the new version has a model that can go off-road. In good times and bad, General Motors sport-utility vehicles have carried the company and satisfied a legion of loyal customers. But GM has tinkered with the some of its cherished formulas as it rolls out the new 2017 GMC Acadia, which has lost 700 pounds become smaller all the way around so it compete head-to-head with vehicles such as the Toyota Highlander, Honda Pilot, Nissan Pathfinder and Ford Explorer and even the Jeep Grand Cherokee.